If you are a regular reader of this blog, then I don’t have to tell you that over the years I have had a roller coaster relationship with acne. But what I may not have said was that even though basic acne is caused by dead skin, clogged pores, and bacteria - my acne is pretty much hormonal. What this means is that there are certain times when my hormones rises and stimulates oil production from the skin's sebaceous glands, which translates into clogged pores and pimples. One of the biggest struggle for women who struggle with their hormones is hormonal acne, which we treat aggressively with harsh products leading to the production of even more oil, sebum, pimples, blackheads and whiteheads. So if you are struggling with adult acne that does not respond to over the counter products with the derm-recommended benzoyl peroxide and salicylic acid (like Baxt Cosmedical Acne Kit or Medik8 BetaGel), then your acne could be hormonal and you are not alone. I recently had a dermatology appointment after a long sabbatical, to finally get a better handle on my hormonal acne. My dermatologist prescribed me antibiotics and a topical gel, which as soon as I started using I noticed an immediate change in my skin. So if you think you might have hormonally based acne, the best thing to do is to discuss it with a dermatologist, your health care provider, or even your OB-GYN. As birth control might also be a method of keeping your hormonal balance in check. If you are not sure what may be some signs of hormonal acne, here are a few clues to help you figure out whether your acne is caused by fluctuations in your hormones. Also, please remember that hormonal acne is usually a tell-tale sign that your body need some attention. Your acne has a tendency of flaring up at predictable times – before or during your menstrual cycle, during ovulation or when stressed. 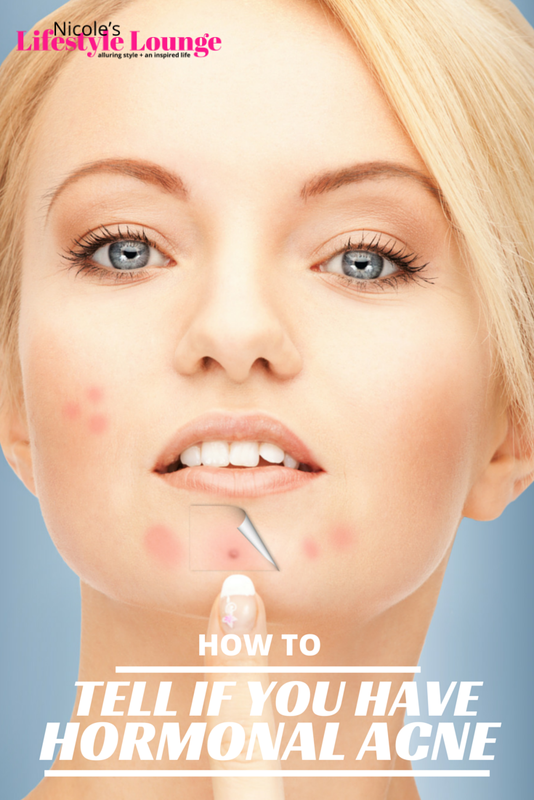 Your acne is more likely to appear beneath the cheekbones, chins and along the jawline. There are some who will get a few pimples below their lower lip when they are ovulating. Your acne tends to be cystic, big and red, even sensitive to touch; you may even feel a sensation of pain at the acne site even when not touched. When it comes to hormonal acne it may not matter how great you are with your nutritional diet, however, here are a few tips to get you on the right path; be gentle with your skin, drink plenty water, eat lots of veggies (cabbage and broccoli), avoid harsh and aggressive treatments. If this was helpful, you can read more skincare tips here.